The practical and effective defence cooperation among ASEAN members will contribute to the successful building of the ASEAN Community and ensuring peace, security and development in the region. 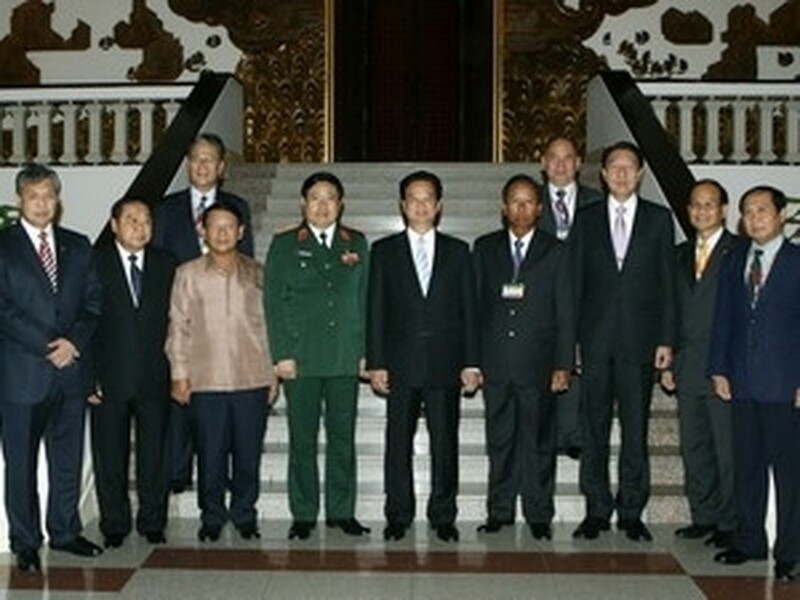 Prime Minister Nguyen Tan Dung made the statement while receiving defence ministers of ASEAN countries who were in Vietnam to attend the fourth ASEAN Defence Ministers’ Meeting (ADMM-4) in Hanoi on May 11. The PM applauded the results of the ADMM-4, which took place in Hanoi on the same day, saying that the approval with consensus of the ADMM+ mechanism is an important event in the defence cooperation between ASEAN nations and other countries in the world. 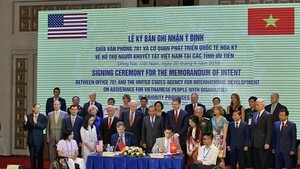 On behalf of the Vietnamese government, PM Dung expressed his determination to successfully organise the first ASEAN Defence Ministers’ Meeting Plus (ADMM+) of ASEAN members and their dialogue partners in Vietnam this October, practically contributing to ensuring stability and peace in the region and the world at large. Singaporean Deputy Prime Minister and Defence Minister Teo Chee Hean highly valued Vietnam ’s preparations and organisation of the ADMM-4. He said that the ASEAN ministers agreed to further defence cooperation among ASEAN countries and reached a consensus on the ADMM+ mechanism, which is expected to help maintain the region’s peace, stability and prosperous development. Earlier, Prime Minister Dung received visiting Indonesian Defence Minister Purnomo Yusgiantoro. He said that an effective defence cooperation will help bolster the traditional friendship and cooperation between the two countries. Dung expressed his wish that the two defence ministries will increase the exchange of information and experiences in order to effectively cope with non-traditional security challenges that Vietnam and Indonesia are facing. The Indonesian minister informed the PM about the results of his talks with Vietnamese Defence Minister General Phung Quang Thanh during which the two sides signed a memorandum of understanding on defence cooperation.